Business corporations and limited liability companies are legally mandated to file Biennial Statements with the Department of State every two years. 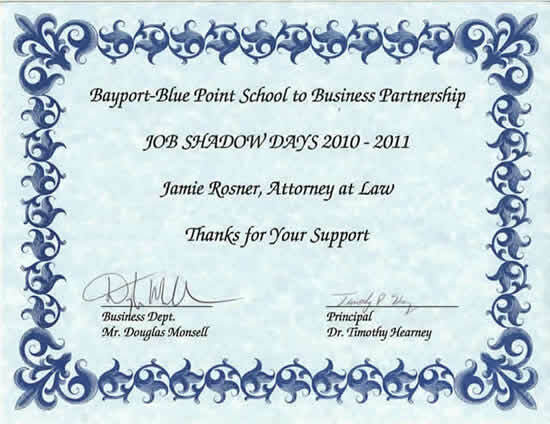 The Statements provide the Defendant with updated contact information of the business. In particular, the information is used to locate an address when a service of process is required. When the Department of State is served on behalf of the business entity, the service of process address is the address used to mail the summons or subpoena to the entity or it’s designated representative. Beginning May 1, 2012, most business corporations and limited liability companies may file their Biennial Statement online and pay the $9 fee using a credit or debit card. The Biennial Statement form, which will be mailed to the address of the corporation or LLC, will provide the necessary information for online filing. Online filing is only available if an entity received a Biennial Statement form from the Department of State after May 1, 2012. The family of Katherine Keegan would like to let you know there will be a ceremony at the library at Holy Angels School May 30, 2012 in her name. At the time of her passing we had requested that in lieu of flowers donations be sent to: Holy Angels, the successor to Saint Francis De Sales School, where Kitty had volunteered for so many years setting up and running the library. We are told your outpouring of support has allowed the library to move forward on an important technology acquisition and Kitty will be honored accordingly. Mrs. Keegan was a volunteer at Holy Angels and founded our library. She is with our Lord now. Her family requested donations be made to Holy Angels. Our angels’ learning will benefit from this gift. We will honor her in the library after Mass. We would be happy and honored if you could join us; due to space constraints we ask that you kindly RSVP BY May 25,2012 to 631-475-9400. 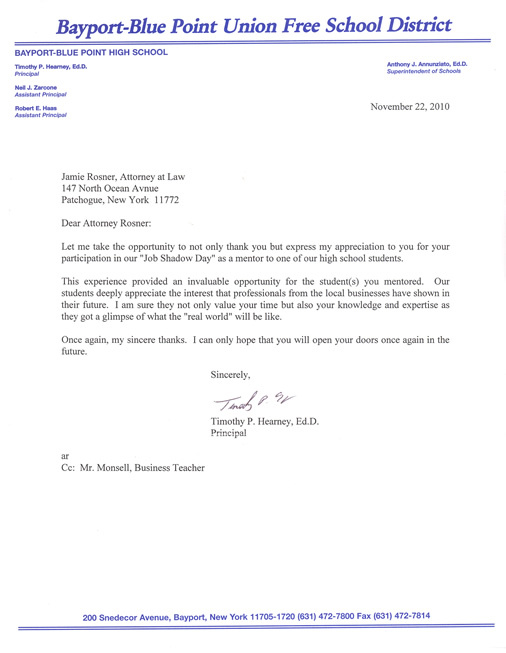 Again, thank you for your important support of Catholic education, an institution to which each of us owes so much. 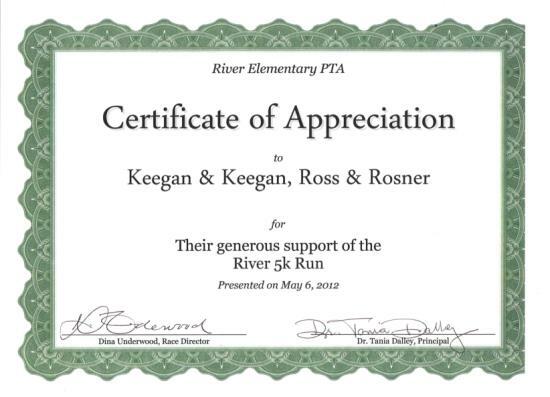 Keegan & Keegan, Ross & Rosner, LLP was recognized for supporting the River 5k run by the River Elementary PTA. Effective April 2, 2012, the Real Property Verification fees will increase to $60 per lot for each lot verified and there will no longer be a maximum fee limit of $1,400. 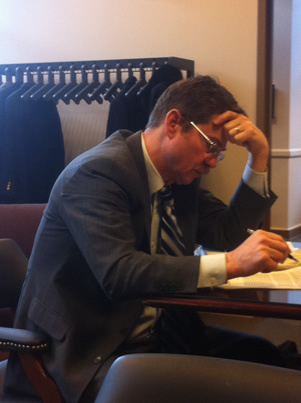 See Resolution 1222-2011 for more information. 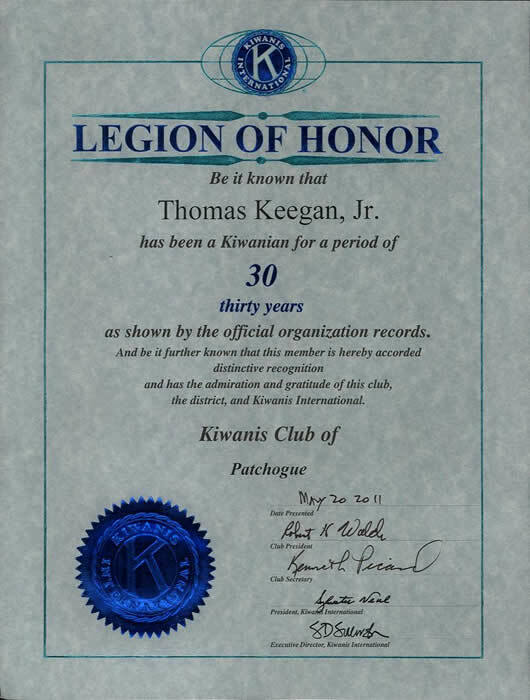 Posted on June 1, 2011 by Thomas J. Keegan, Jr.
On May 20, 2011 Thomas J. Keegan Jr. was presented with the Legion of Honor award for being a Kiwanian for 30 years. Congratulations! 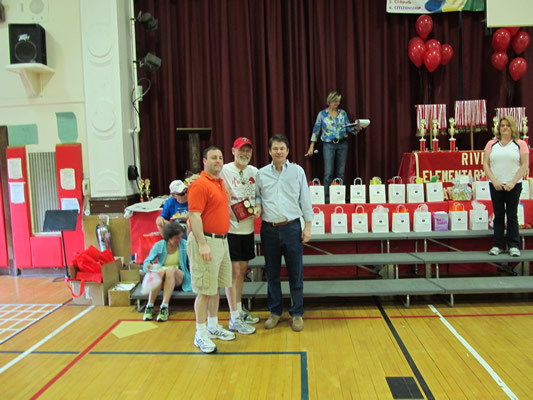 On Sunday, May 1, 2011, Keegan & Keegan, Ross & Rosner LLP sponsored the sixth annual River 5k Run at River Elementary School in Patchogue. Partner Dan Ross ponders the wisdom of a recent decision following a hard fought trial in Suffolk Supreme Court, Riverhead. 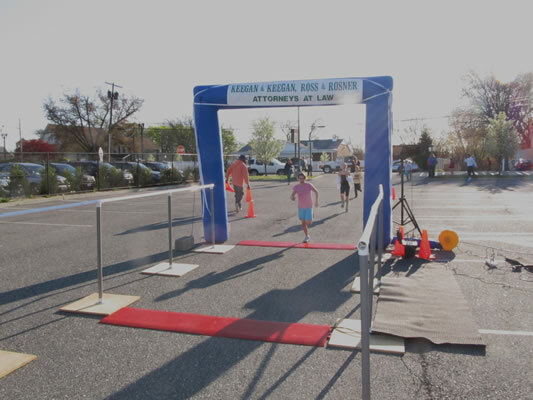 Click the links below to read about Patchogue’s progress in its environmental clean-up. This counter represents the number of beverage cans and bottles that have been landfilled, littered, and incinerated in the US so far this year.